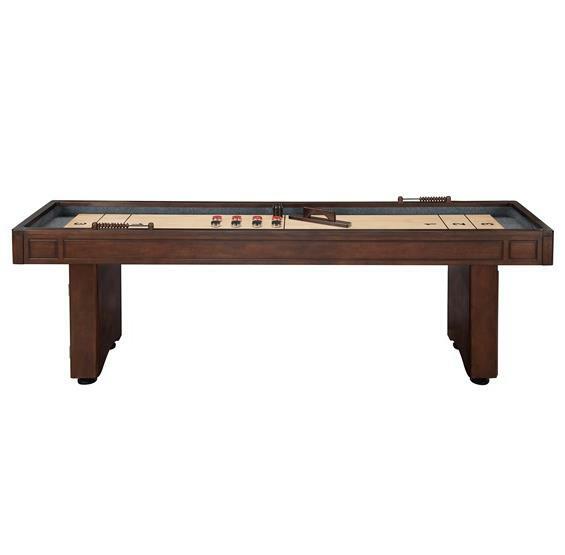 The Austin 9-ft Shuffleboard table features a clean, straight-lined cabinet design beautifully finished in a rich Mahogany color. The 1.5-in thick play surface is crafted from a White Maple veneer wrapped over an MDF foundation finished in a smooth, glossy polyurethane protective coating for premium durability. Since table play surfaces can become convexed during humid weather and concaved during dry weather, heavy duty climate adjusters are included on the table. 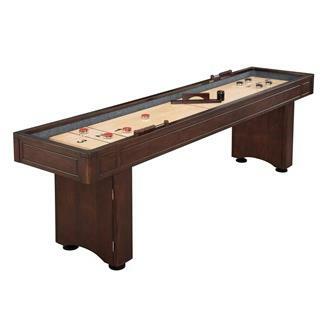 Climate adjusters allow you to quickly make adjustments to the play surface to maintain true accurate table play. 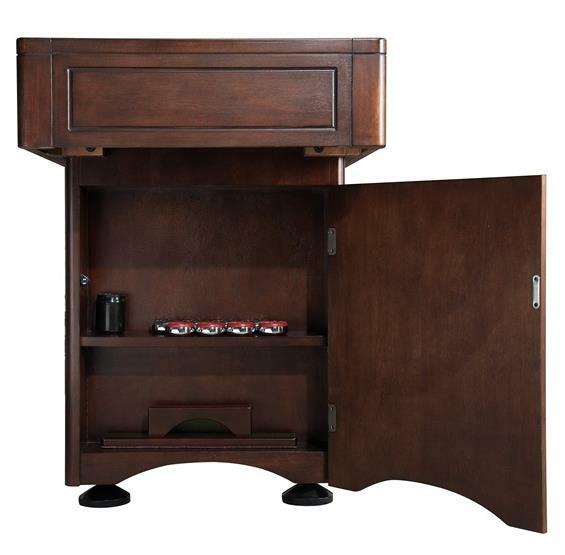 The table cabinet is designed for style and built to last. 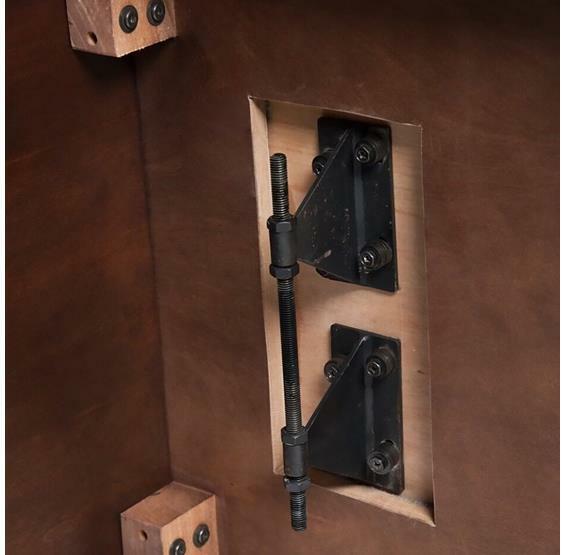 The Austin is supported by sturdy box-style legs that feature built-in storage and 4-in independent leg levelers for fast easy leveling on any surface. Two finish-matched wood scoring units make keeping track of the score a breeze. 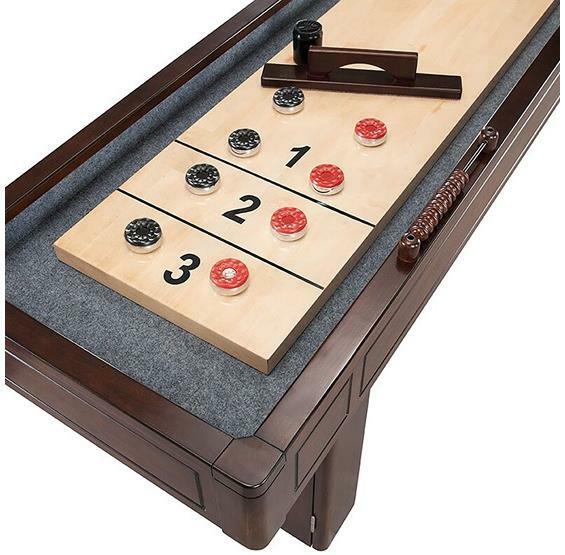 The table comes complete with 4 Blue pucks, 4 Red pucks, 2 abacus scoring units, 1 table brush and 1 can of table wax. 180-day limited warranty.